I’m not gonna lie. I hate cleaning. Really, really, really hate cleaning. But I do love having things clean and organized, and somebody’s got to do it. Spring seemed like the perfect time to try to get a little more organized. It is called Spring Cleaning after all. We’ll call it a fresh start for the house and the homemaker. 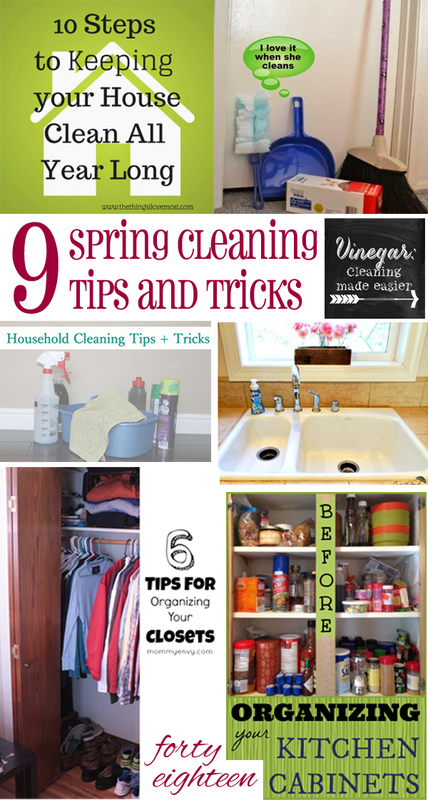 I rounded up 9 cleaning and organizing tips and tricks to help me get started. Here are a few more cleaning and organization tips you should take a look at! My kids really struggle to keep their rooms clean. Oh, let’s be real here – so do I. This simple chart full of pictures helps my kiddos get the job done without getting overwhelmed by the mess in the room! I should make one for me. 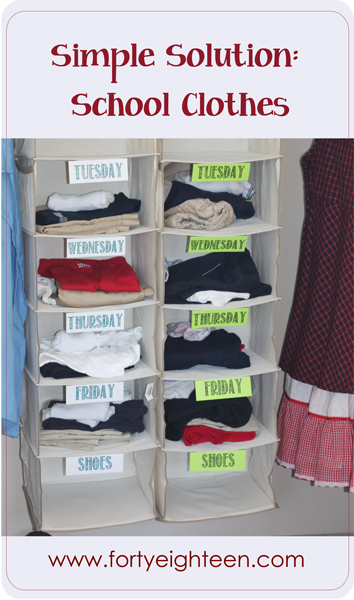 Organize your kids’ school clothes like this and make your mornings run a lot smoother. No more mad dash to get out the door! Do you have any great cleaning or organizing tips for me? I need some help!